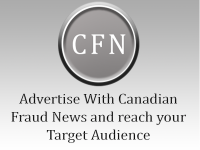 Aug. 31, 2018 ( Courtesy of CBC.ca) – Two former civilian employees at Canadian Forces bases in Alberta and Ontario are facing charges of theft and fraud following separate investigations by the Canadian Forces National Investigation Service. The first investigation was launched by military police in April 2016 at CFB Suffield, near Medicine Hat, Alta., following a complete stock taking process at the Crowfoot Messes. The offences allegedly occurred between 2005 and 2016 and the total cost incurred is estimated to be more than $90,000. Scott MacDonald, a retired non public funds (NPF) mess manager at CFB Suffield, was charged Aug. 20 with fraud and false entry in a document. The second investigation began in April at CFB Borden, near Barrie, Ont., after discrepancies were noted in NPF accounts there. The offences are alleged to have occurred between January 2015 and April 2018 and the total theft of NPF funds is estimated to be more than $70,000. Shirley Lemieux, an administrative assistant in personnel support program, was charged Aug. 15 with theft over $5,000, fraud over $5,000, forgery and breach of trust. Both accused worked in the Canadian Forces Morale and Welfare Services. “The Military Police serves to protect the institutional integrity and safety of personnel and property within the greater Defence community. These most recent cases of fraudulent activity and misappropriation of funds, public or non-public, are criminal acts which will be investigated and prosecuted to the fullest extent of the law,” said Lt-Col. Kevin Cadman, commanding officer of the investigation service, in a statement. Both cases will proceed through the civilian justice system. Lemieux is scheduled to appear in Barrie Provincial Court on Sept. 10. MacDonald is scheduled to appear in a Medicine Hat court on Oct. 18.